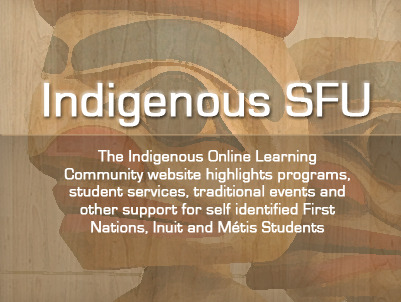 On September 28th, the First Nations Student Association (FNSA), hosted the third annual SFU Indigenous Days. A celebration of Indigenous teachings, the one-day event brought together First Nation performers and artists from across Canada to share their knowledge and culture with the SFU community. The day began with a traditional hand drum song by Tlakwasikan Khelsilem (Dustin Rivers) followed by opening prayers with elders Michael Harris and Jim White; and acknowledgment of the events presence on the unceded territories of the Musqueam, Squamish, and Tsleil-Waututh Nations. Reflecting the rich diversity of Indigenous culture, students and faculty were treated to a full-day of performances. Headliners included the internationally renowned Git Hayetsk: People of the Copper Shield, powerhouse vocalist Fara Palmer, award-winning jazz musician, Murray Porter and an interactive Sla-Hal (traditional bone-gambling) demonstration, hosted by Ben Gonzalez and students of the Sk̲wx̱wú7mesh sníchim (Squamish Language) program. As well, more than 20 local artisans showcased beadwork, carvings, moccasins, Pow Wow regalia, jewelry and traditional Coast Salish medicines and teas. knowledge.The First Nation Students Association would like to thank MC Ian Bee, Big Plume Big Sound, Cedar House Catering, the Four Fires Society, Sandy Scofield, Derrick Whiteskycloud, Kat Norris, DJ Mukluk, PD Chalifoux, the Indigenous Student Centre, and the Office for Aboriginal Peoples. As well as added support from the elders, volunteers, vendors, and artists who make this annual event possible. The FNSA requests that those interested in attending next year’s event please save the date: Wednesday September 28, 2017. For more photos of SFU Indigenous Day 2016, take a look at the event post on SFU News.